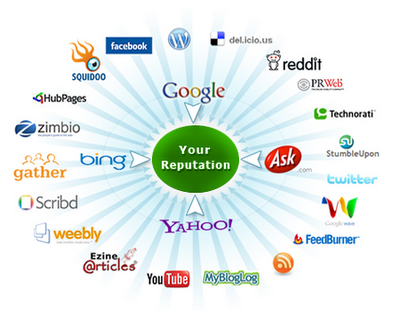 Reputation management (sometimes referred to as rep management, online reputation management or ORM) is the practice of attempting to shape public perception of a person or organization by influencing online information about that entity. Online Brand Reputation refers to how a particular brand (whether for an individual or a company) is viewed by others. A favorable brand reputation means consumers trust your company, and feel good about purchasing your goods or services. Tier3 provides complete Reputation Management Services to its valuable clients. Tier3 understands there are a lot of misconceptions about online reputation management. Some people think it’s just social media monitoring, while others believe it has something to do with public relations, and still others literally have no idea how it can impact business and sales. Tier3 takes care of sudden impact events like Online Reputation Bombs and our 24/7 monitoring service .We will monitor and report the following to you. 5.Other Objectionable Content Tier3 analyses these search results using our own algorithm and provide you with detailed reports related to your online brand or profile reputation.Our experts will help you with whole processes which may include contacting hosting websites or even to liaise with LE. Online reputation is determined by complex calculations run automatically by computers. After all, nobody has time to take in all the information that’s out there, so search engines and social media sites make educated guesses about what people will find interesting. Popularity over accuracy. No algorithm can tell whether information accurately reflects you or not, so popularity becomes the main measuring stick. That’s why embarrassing party photos, frivolous lawsuits dismissed years ago, and other kinds of irrelevant but intriguing “click bait” often dominate online reputations. Don’t click. It can be tempting to visit the negative pages in your search results over and over again. Don’t. This tells search engines that the page is relevant, driving it up in the results. For the same reason, don’t tell all your friends to go visit the page. And under no circumstances should you link to it on social media or from another website. Don’t engage with detractors. If someone writes something unflattering about you, don’t write back, don’t post a comment, and don’t refer to the offending item in online forums. All this does is send more attention to the issue you don’t want seen. There’s also the danger that truly malicious posters might take your response and twist the words against you. Why give them additional ammunition? It’s better to fight their taunts with radio silence. To find out more about Reputation Management Service and what Tier3 can do for you please feel free to contact us at info@tier3.pk.